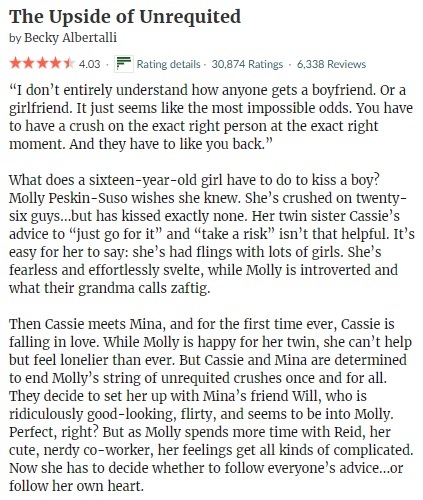 This entry was posted in 2018, 3 Star Rating, Book Reviews, Yvo's Shorties and tagged 3 star rating, 5 star rating, becky albertalli, book review, cartel, contemporary, crime, drugs, fiction, lgbt, love triangle, mexico, mystery, published in 2017, realistic fiction, romance, steve schafer, the border, the upside of unrequited, thriller, war on drugs, ya, Yvo's Shorties by Yvo. Bookmark the permalink. 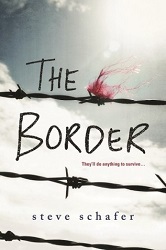 In love with The Border’s cover! 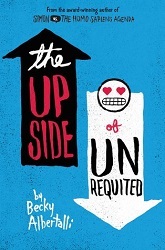 The Upside of Unrequited is one I keep putting off because I just know I am not the ideal audience. 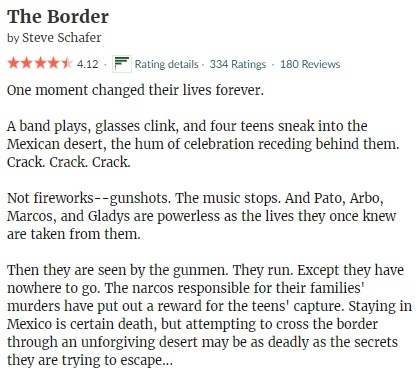 However, The Border sounds fascinating! Yeah I could see how that might be an issue with today’s climate. But it could also make a great book club or discussion read with the right people! It would definitely work well as a book club read!